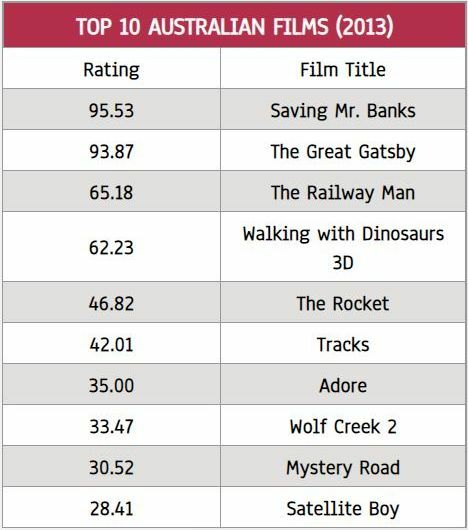 The Film Impact Rating is a first step in the reconsideration of how we might understand the effectiveness of Australian films in a global industry. To move beyond the dominance of box office as a measure of film success, we explored “impact” through three themed categories: coverage, commentary, and commercial performance. Coverage involves data concerning the location, volume, and saturation of film screenings; commentary covers critic and user ratings as well as award nominations and wins; and commercial data includes the traditional box-office return measure and box office relative to production budget size. The primary data used in the study (see The Kinomatics Project) captures all film screenings in 46 countries over the 18-month period ending 1 July 2014, and enables detailed empirical study of the locations visited by Australian-produced films. 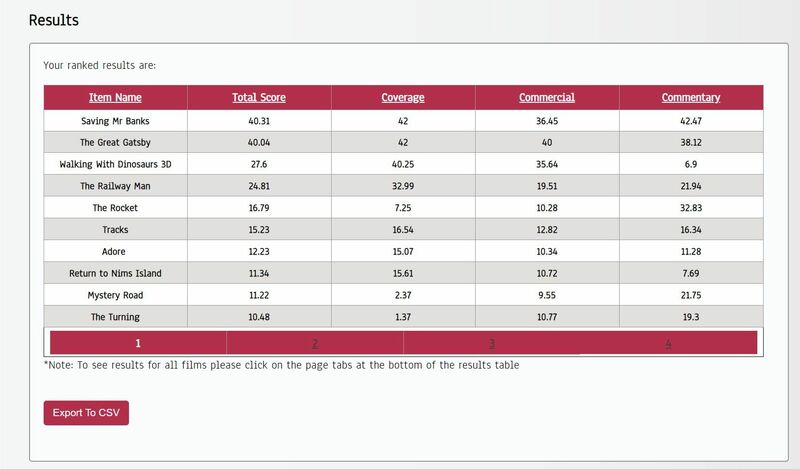 For a full explanation of the impact rating see our Film Impact Description. What factors do you think matter the most for calculating film impact? 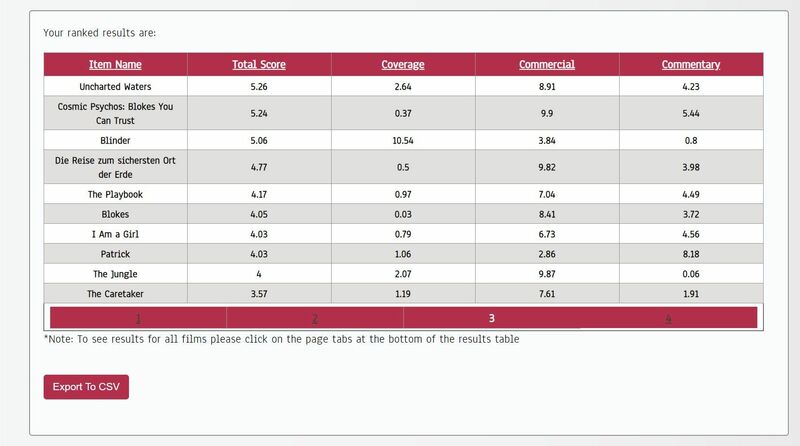 Create your own Film Impact Rating by reordering the sliders to reflect your priorities (0 for not important to 10 for very important). The different weightings you assign to each variable will be collected and used to inform us of what the public think are the most important aspects related to film impact. Verhoeven, D., Davidson, A., & Coate, B. Australian films at large: Expanding the evidence about Australian cinema performance. Studies in Australasian Cinema, 9(1), 7-20. doi: 10.1080/17503175.2014.998098. Bronwyn Coate, March 17, 2015, Film Impact Rating (Fir) generates an impact itself!, Kinomatics.